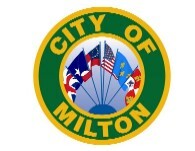 The Milton Planning Board recommended approval of a rezoning request for 6821 Caroline Street, (the old post office) to expand the potential uses of the property. The change of zoning will be from RC-1 to Traditional Neighborhood District to supplant the existing and underlying zoning designation of RC-1. The change could result in the establishment of a new restaurant and craft brewery on the property.